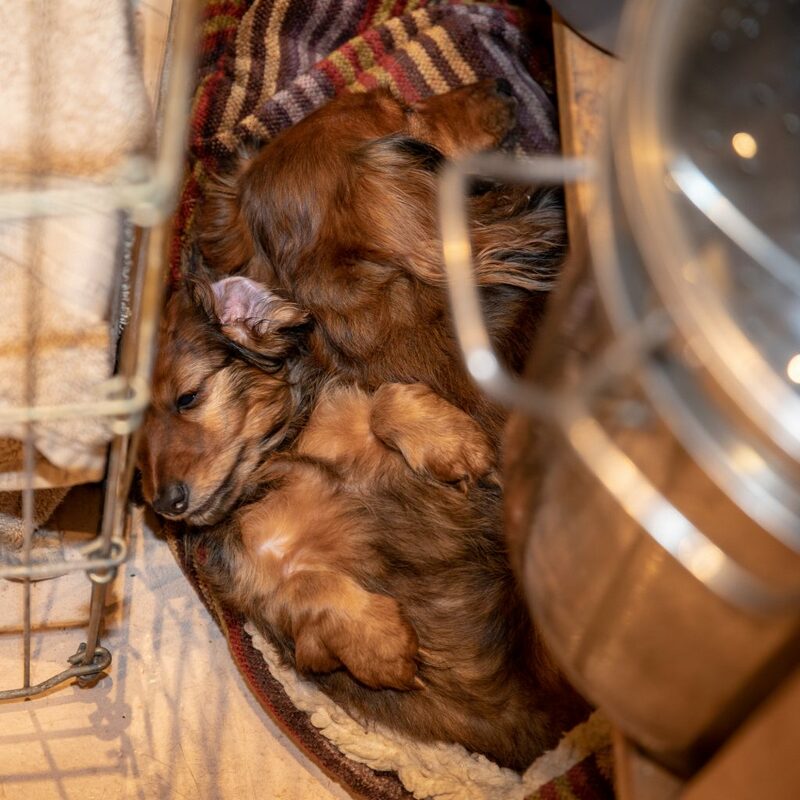 Aurora’s favorite spot for napping has definitely moved from the whelping box to the adult pack’s den in the hide-a-pet underneath the butcher block. This photo above, taken by Geoffrey on his iPhone, shows Aurora nestled in the den. The wire in the photo is the exercise pen which surrounds the whelping box… which our girl is out of. Day 59 –Ready for Parboiling? Aurora is quite comfortable snuggled in with the rest of the pack in the too-small space! The humans were in the living room, so what else was there for a puppy to do? 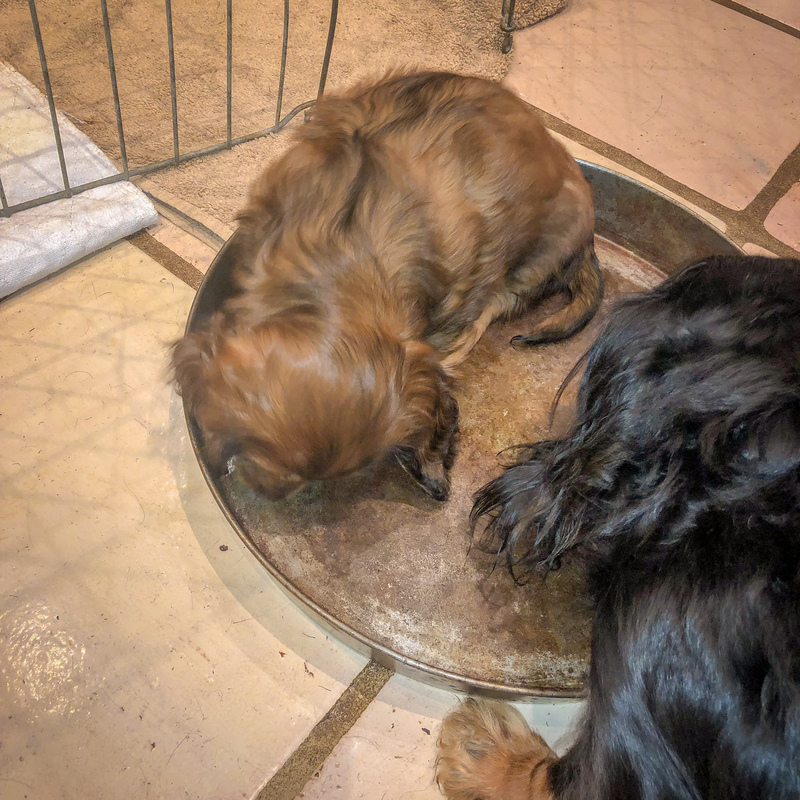 Of course, she participated in the pack’s illicit licking of the pizza pan at the end of the evening… much to Geoffrey’s dismay at the breakdown of civilization. 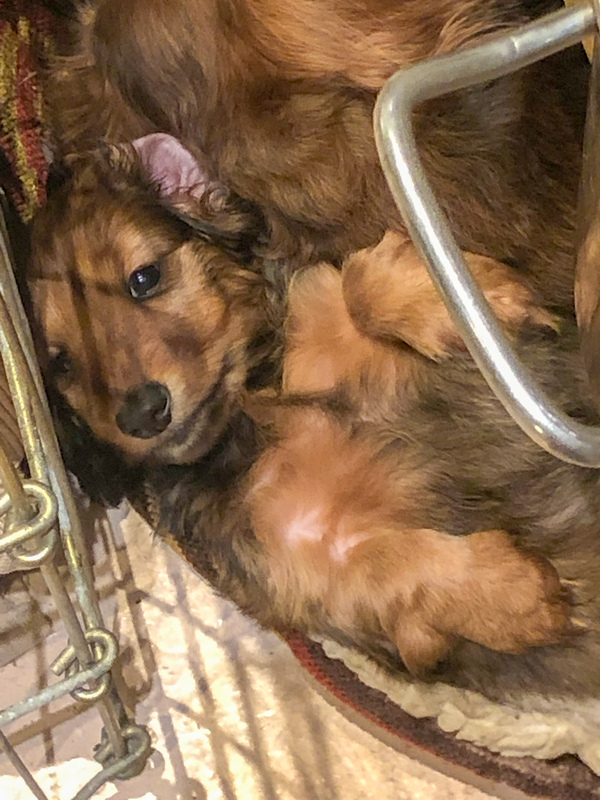 This entry was posted in dachshunds and tagged Aurora, dachshunds, kitchen, puppies2018, zenith puppies. Bookmark the permalink.